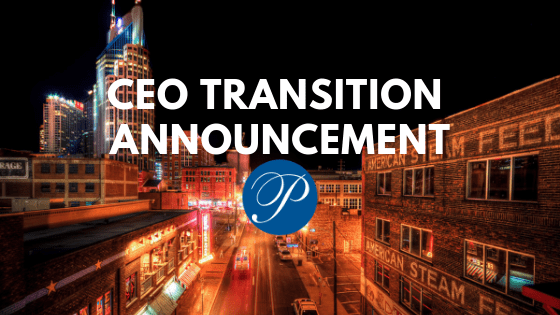 Premier Parking is excited to announce that the board has selected current President Ryan Hunt to succeed Ryan Chapman as Premier’s second Chief Executive Officer. Chapman, now Premier’s Executive Chairman, remains active at the Board level and as the largest individual shareholder. Hunt, 34, began his career with Premier in 2006 when the company managed just five properties in downtown Nashville. Over the next 12 twelve years, he would play a critical role, taking the lead in opening Premier’s regional offices in numerous cities across the United States. Hunt has relocated for the company five times since 2012, establishing Premier’s presence in markets including Houston, Austin, Seattle, Oklahoma City, Dallas, and Denver, just to name a few. Hunt has played a key role in the expansion of Premier’s technological advancements and has received national recognition. He was the first team member to be awarded a partnership, the first to hold the title of Chief Operating Officer, and later become President. As a result of Hunt’s leadership and reputation in the parking industry, he was a recipient of the National Parking Association’s 40 Under 40 award in 2016. As President, Hunt led and completed acquisitions of multiple smaller parking companies in Detroit and Houston to include more than 80 locations and approximately 300 employees. In addition, he made key personnel changes within Premier’s executive leadership ranks to build what he and Chapman believe is the ideal team to take the company to the next level. Under Hunt’s leadership, the company added over 150 new locations and expanded into multiple new markets in 2018. Premier Parking thrived during Chapman’s 15+ years as CEO, growing from just a single property in Nashville to its current size in more than 40 U.S. cities. Thanks to Chapman, Premier transformed from a minor player into a nationally recognized and highly respected industry leader. His courage and vision ultimately guided Premier through its successful sale to a private equity partner, River Associates of Chattanooga, in 2017.